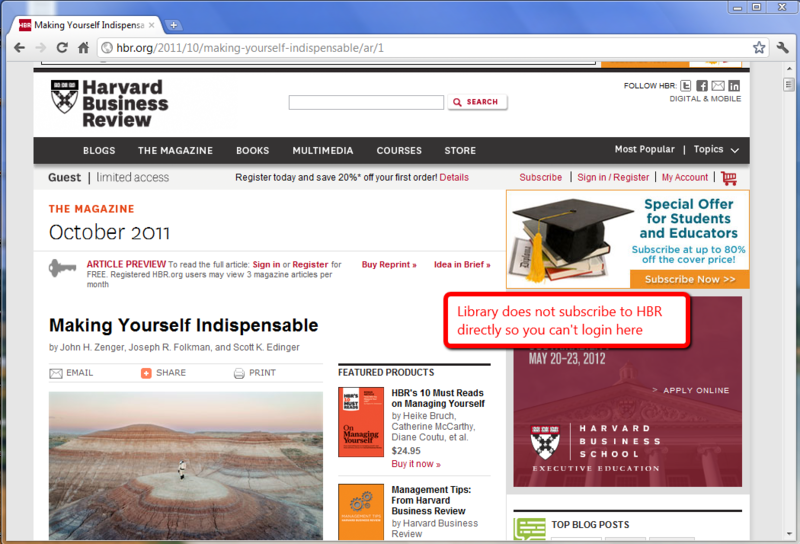 The journal Harvard Business Review (HBR) is available to University of Manchester students and staff as an e-journal and you can access it off-campus. 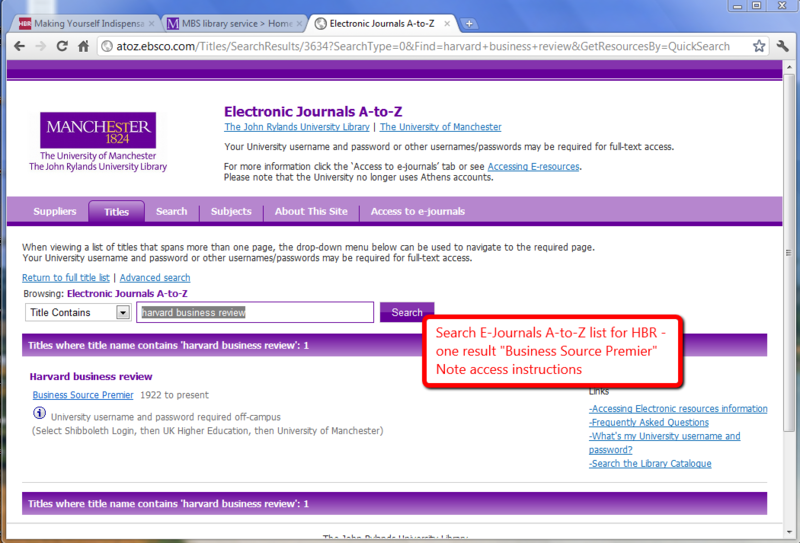 To access a HBR article you need to do two things: first, find out which journal database(s) has full-text access to HBR, and second authenticate yourself as a member of the University of Manchester. 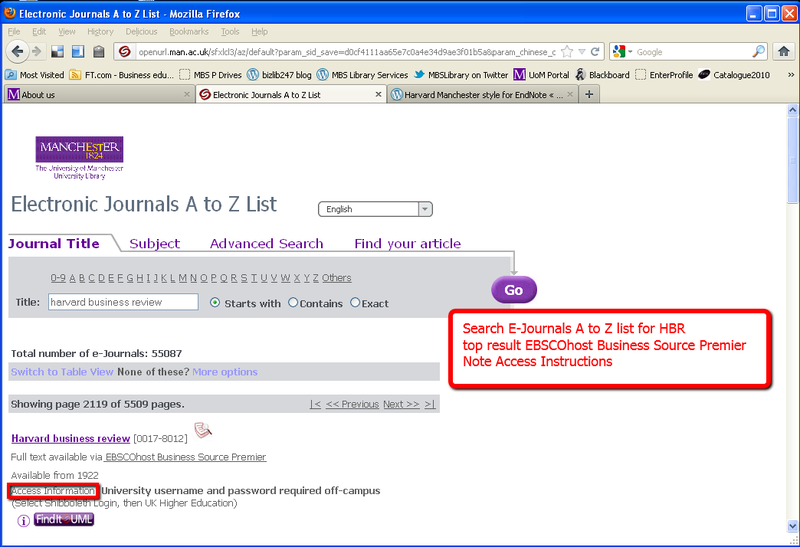 The simplest way to find the journal database for HBR is to use the electronic journals A-Z list. 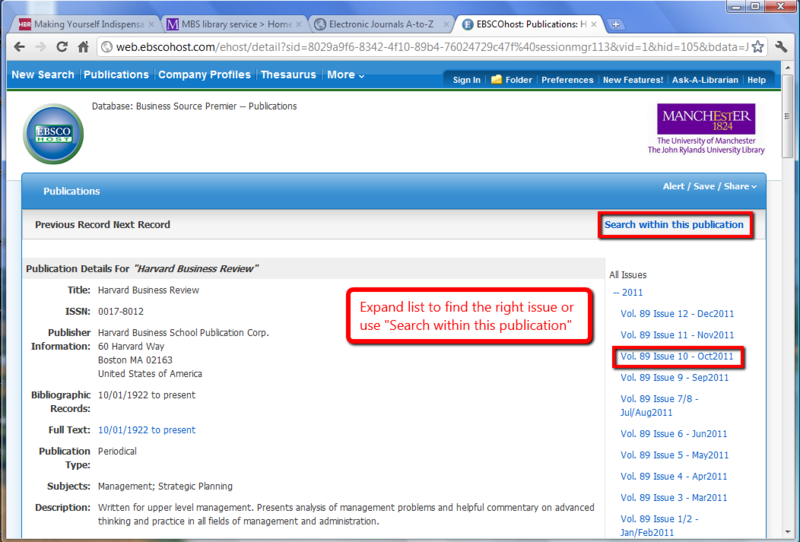 For Harvard Business Review we select the Business Source Premier (BSP) link. 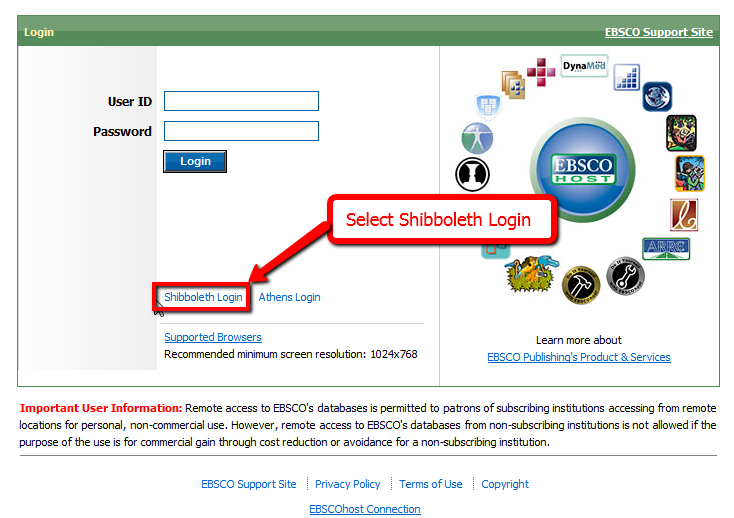 If you are off-campus this takes you to a login page as you need to authenticate yourself. 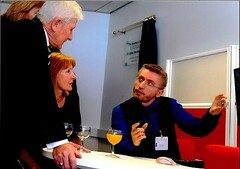 That is the authentication part done. 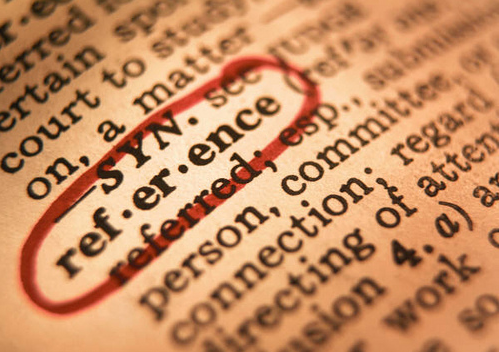 Now you can use the rest of the article reference (year, volume, issue, page no. etc.) 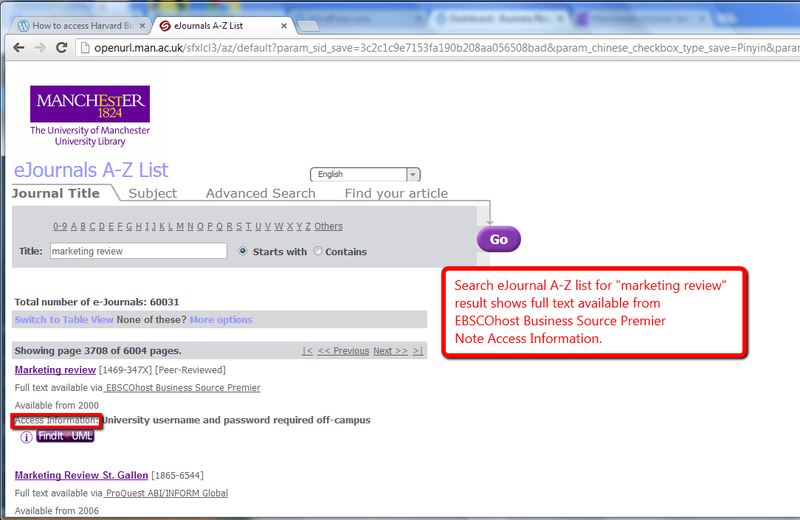 to select the specific article. 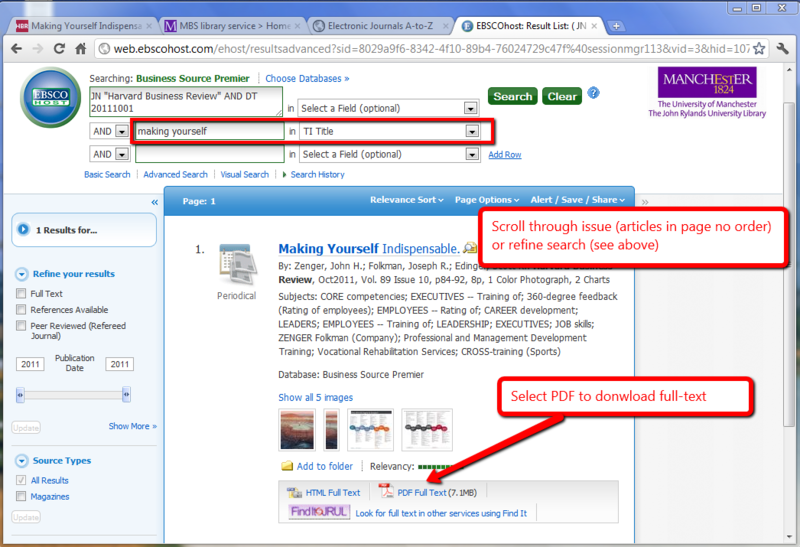 Once you have found the article, the PDF Full Text link is the one to download it. 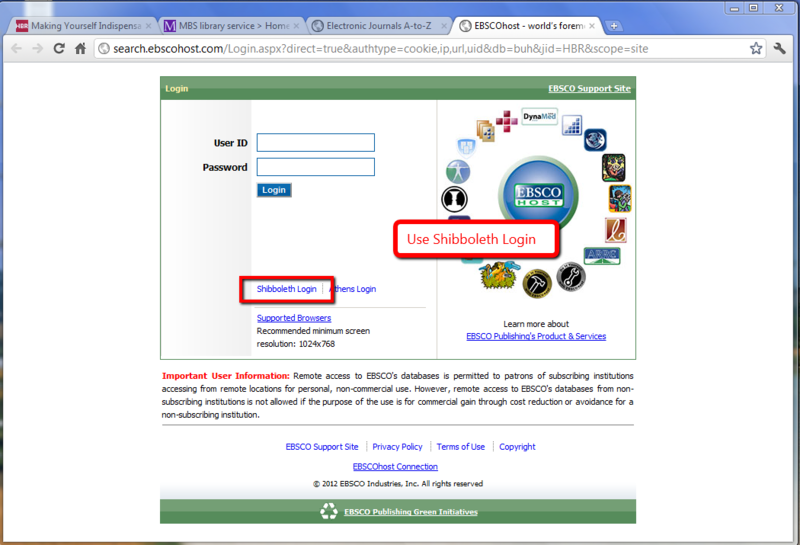 Authentication can vary. 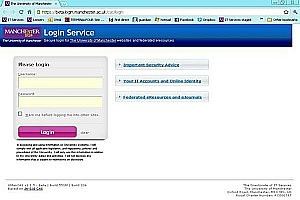 If you have already authenticated then your browser may have cached the details so that you don’t need to provide them again. If you are running VPN then your authentication is by your PC being part of the virtual network. 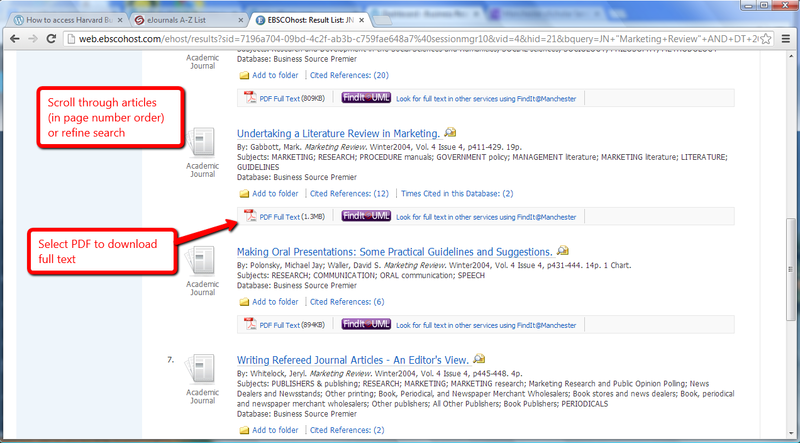 Related “Business Reserch Plus” posts in Category off-campus provide further information.